While most in golf associate the ideal of “going low” to mean breaking a personal scoring barrier, Paolozzi has a different frame of reference. “Going low” for Paolozzi, a PGA First Assistant Professional at Druid Hills Golf Club in Atlanta, entails entering an event with low expectations, because that brings out the best in her game. The Women’s Stroke Play Championship, which she leads after posting an opening 68, serves that purpose as her unofficial launching point for the upcoming season. Is that a strange mindset for a defending champion, who also claimed the 2014 title? Paolozzi explained, “In my own mind, I am the underdog and I have to play well to compete. I usually play better that way. I guess you could say I am the opposite of Tiger Woods, but that is what works for me. Charlotta Sorenstam eagled the par-5 16th hole on the Wanamaker Course this morning and posted a 2-under, 70. She is two shots behind Paolozzi. At 73, Jennifer Bermingham, Lisa Grimes and Joy Bonhurst are tied for third, five shots back. Birdies on 16 and 18 gave provided Paolozzi a two-shot buffer over Sorenstam. What’s scary, however, is that Paolozzi’s 68 is three shots better than her opening 71 last year. And she ultimately won by a remarkable 14 shots. Omar Uresti, Ben Polland, Scott Berliner and Steve Scott each turned in 65s to lead the pack in the Stroke Play Championship. Beginning his round on the Ryder Course’s back nine, Uresti was 1-under through his first eight holes before flipping the switch and finishing his day with six birdies over the final 10 holes. The 2016 Assistant PGA Professional Champion Polland led the field with nine birdies on Monday, but two bogies on holes 1 and 12 prevented him from owning the outright lead. Berliner and Scott both turned in clean scorecards, each with seven birdies and 11 pars. Berliner, hailing from Saratoga Springs, New York, played the par-5s 4-under, complemented by birdies at the par-4 8th and holes 12 and 16 (both par-3s). Scott, from New City, New York, jumped to a quick start with birdies at 2, 3 and 4. The 39-year-old capped off his round with birdies at the 17th and 18th. Perhaps the story of the day belongs to Jerry Tucker (Stuart, Florida), who trails the leaders by one stroke after breaking his age with a bogey-free, 6-under 66. The 67-year-old Tucker fired a 5-under 31 on the Ryder’s front nine. A win for Tucker this week would mark his second during this year’s PGA Winter Championships, following his dramatic, one-stroke victory at the Quarter Century Championship in early January. Also in the hunt at 5-under and rounding out the top ten are Nicholas Beddow of Palm Beach Gardens, Florida, Rob Labritz of Pound Ridge, New York, Ryan Vermeer of Omaha, Nebraska, Brian Cairns of Walled Lake, Michigan, and Jason Caron of Oyster Bay, New York. 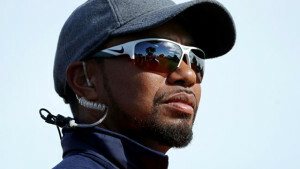 DUBAI, United Arab Emirates — Tiger Woods is looking to old friend Roger Federer for some inspiration. “What Rog has done is he’s been dominant for so long,” Woods said as he continues his comeback from 16 months off at this week’s Dubai Desert Classic. “To compete against (Novak Djokovic), to compete against Rafa, and now Andy (Murray) is playing well. He’s had a litany of guys who have won slams. And no one wins slams at his age. 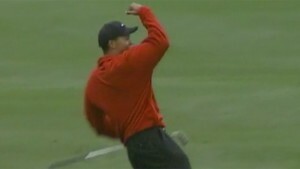 Woods has won 14 majors, the last coming at the 2008 U.S. Open. Since then, he has dropped from No. 1 in the world to No. 666. He has twice won in Dubai but missed the cut in his first appearance of the year at the Farmers Insurance Open at Torrey Pines. So how do you approach the day when you’re trailing like Matsuyama and Simpson were? So what’s it like playing from behind? As it was for Hutsell in 2011, he double-bogeyed the par-3 16th hole, but holed a 25-foot birdie at the 17th and parred the 18th before waiting around to see if he’d be in a playoff. Hutsell said, in his experience, the brief break wasn’t much of an issue. For Matsuyama, he putted well, but there was also a distinct advantage that Hutsell saw — his driving ability. So what can you glean from Hutsell, Matsuyama and Simpson? Chances are you aren’t going to be playing in events that are as high profile as what they’re playing in, but the message is the same even if it’s a local tournament, club championship, or a match with your buddies where you’re trailing late: stay positive.